Sending an important and confidential email to one of my friends and mistakenly clicked send to someone else. Holy crap! This is something experienced by everyone of us at some point. When we accidentally hit the reply-all button, send an email to the wrong person, or sometimes forget to attach a file, and then left only with an instant pain of regret. It feels like there is no going back. Isn't it? But to make you go back and rectify your mistakes, Google has rolled out a new feature that delays sending your email for 30 seconds after you hit Send, so that you can recall it if you want to make some changes. After the feature remained in public beta for six years, Google has finally brought this life-saving "Undo Send" feature to the main settings on the Web version of Google's Gmail service. Once enabled, the Undo Send feature offers you up to 30-second window to "undo" sending an outgoing email after you hit the send button — just in case you change your mind. Since March 2009, Undo Send feature has buried in Gmail's Labs section, which Google uses to test out new features for Gmail. However, now the feature is available in Gmail's settings under the "General" tab. Once done, every time you send an email the yellow dialogue box will appear that displays "Your message has been sent," giving you an option to Undo it. When you Click on it, the email will reopen, un-sent, in the composition window. 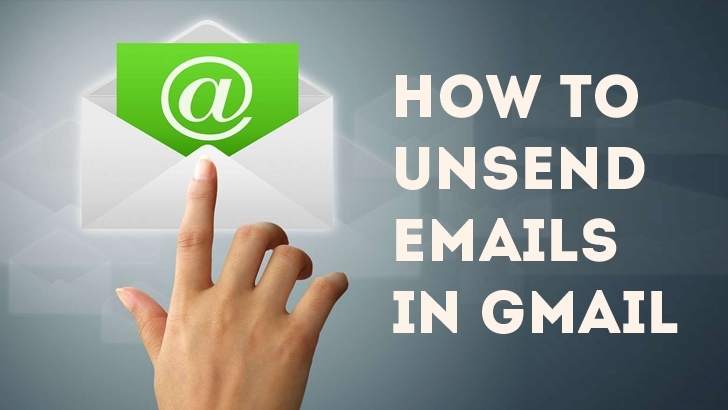 For now, Undo Send feature is not available for the Gmail mobile app for smartphone devices. However, the company is planning to roll out the feature for the mobile app soon.